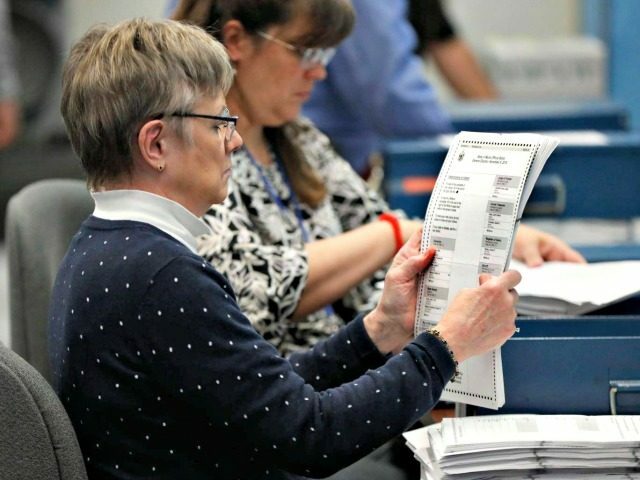 On Monday, Maine Secretary of State Matt Dunlap announced that a recount of the November 6 election in Maines Second Congressional District will begin on Thursday and will continue for an estimated four weeks. The CD2 recount will begin this Thursday, Dec. 6 at 9 a.m. and is expected to take about 4 weeks. We will not conduct the recount the week of Dec. 24; it will resume Jan. 3, 2019. Secretary of State Dunlap, a Democrat, declared Democrat Jared Golden the winner of the election on November 15, despite the fact that Rep. Bruce Poliquin (R-ME-02) received 2,632 more votes than Golden on election day, a consequence of the states implementation of a controversial rank voting system. Since a Maine judge had earlier ruled that the rank voting system passed by voters in 2016 and affirmed by voters in June 2018 violated the Maine Constitution, state offices were selected by the traditional voting system used in the rest of the countrywinners were determined by who received the most votes. Federal officesin this case the Senate race that incumbent Sen. Angus King (I-ME) easily won, and the states two seats in the U.S. House of Representativeswere decided by the complex rank voting system, as implemented by the Democrat Secretary of State, using a proprietary computer algorithm provided to the state by an outside vendor. Since no candidate in the race received the 50 percent plus one votes required to be declared the winner under the new ranked voting law, Secretary of State Dunlap then used the outside vendor which deployed its proprietary algorithm to allocate the combined 23,013 votes cast for third place finisher Bonds and fourth place finisher Hoard. In what Secretary of State Dunlap described as Round 2, all 16,260 votes were removed from Tiffany Bonds total, giving her a new total of zero votes. In addition, all 6,753 votes were removed from Hoars total, giving him a new total of zero votes. A total of 8,086 votes cast by supporters of Hoar or Bonds on election day were thrown away and not counted in Round 2 votingspoiled is the legal term usedbecause, according to the Secretary of State, did not include choice rankings beyond the first choice. Poliquin and several voters in the Second Congressional District have filed a lawsuit in federal court arguing that the rank voting system approved by Maine voters in 2016 and reaffirmed in June 2018 is not constitutional. On Wednesday, federal judge Lance Walker said he would decide the case soon. Poliquins lawyers are asking U.S. District Judge Lance Walker to rule that the law, passed by voters in November 2016 and affirmed with a citizens veto vote in June, violates the U.S. Constitution. They are arguing that Poliquin should either be declared the winner based on the fact he won the plurality of votes in the first round of counting or that there should be a special election, or runoff, between Golden, a Democrat, and Poliquin, a Republican. James Gimpel, a professor of political science at the University of Maryland who studies voter behavior, testified Wednesday morning as an expert witness on behalf of Poliquin and his co-plaintiffs. Gimpel broadly criticized ranked-choice voting and suggested that some 8,000 voters were disenfranchised because they had no way of guessing who the final two candidates would be when they cast their ballots. therefore the total number of voters is reduced by the computer and the eventual winner does not actually get 50%+1 of those who turned out on Election Day. This makes this system very different from normal runoff states like Louisiana. Here the computer algorithm determines the final ballot. Only those voters who voted for last place finishing candidates have their additional choices considered. Surviving candidates ballots simply stay in the mix. Those voters do not get the option to ponder their choices like the others in subsequent voting rounds by the computer system. Democrats and their allies spent more than $20 million to defeat Poliquin. Should he win the recount or the pending lawsuit, he will be the only Republican member of the House of Representatives in the 116th Session of Congress from the six states that comprise New EnglandMaine, Massachusetts, New Hampshire, Vermont, Rhode Island, and Connecticut. More voters would rather have Golden than Pokeum if neither gets the majority of the votes, so he's the popular choice, aka the winner. It's a better system of voting. 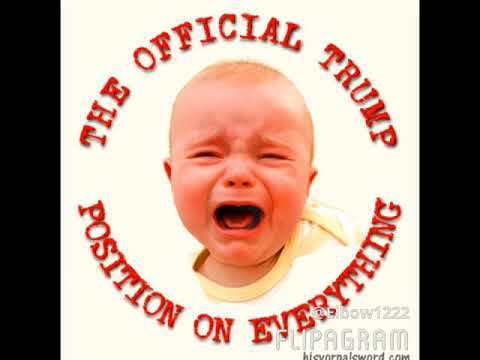 The GOP is the party of whining crybabies, look at donnell always sniveling about something or the other. The pluralist version of voting that is and has been the standard throughout all of American history is, IMO, overall the worst voting system there is. It tends to NOT represent the will of the majority, but rather, the will of the biggest minority. If you get 4 candidates for a single office and one is a liberal and the other 3 conservative, and 40% of the population is liberal vs 60% conservative, the single liberal candidate will win with 40% of the popular vote while the 3 conservatives split the remainder getting 20% each. Of course, reversing the line up with 1 conservative and 3 liberal candidates and the conservatives win. Obviously, elections should be won by candidates who have views that are most popular among voters and not care about the breakdown of views of the candidates. The system used in Maine is the IRV type or Instant Run-Off method. It's a far better method for 3rd party candidates because it gets rid of the "wasted vote syndrome" where people are discouraged from voting for anyone other than R's and D's, and gives people a full opportunity to register a vote preference that is different from the leading two. When people understand this, future elections will open the door to something other than R's & D's. However, critics of it are correct that it is a much more confusing ballot. While the average person could understand it with a little instruction, most are not used to it and of course, half of the voting population is below average intelligence, or perhaps just don't think in a way that makes the procedure easy to assimilate in less than 15 seconds. It also makes vote counting much more difficult, and the idea that the software used to count it should be considered proprietary A) reeks of potential vote fraud, and B) is hardly sophisticated enough to warrant a proprietary consideration. A better method to IRV is "Approval Voting" which addresses both of these issues by simply allowing people to cast votes for as many candidates as they want. I.e. those candidates they "approve" of. Every vote for each candidate has the same weight and priority whether a voter voted for only 1 candidate or all of them. All are counted on the first round. Then the candidate with the most vote (i.e. the most popularity) wins. This makes ballots simple to understand for the voter as they are almost unchanged from current ballots, and also only requires one round of vote counting. It's far easier to verify. In spite of the election outcome in Maine, I'm glad to see IRV starting to make inroads as it's far more important for people to understand there are other methods of voting that give third parties a chance to compete with something other than an R and D label. That the election was apparently reversed after 3rd party voters had their votes reallocated to the 2nd place candidate further empowers those who voted 3rd party on the first round. A good thing, as in next elections, mainstream candidates will know they must appeal to the majority of all voters and not just a majority of R and D voters. It's a better system of voting.